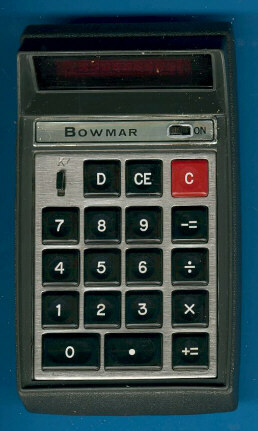 Usually dismantling a calculator reveals a lot of information but this Bowmar 901C kept his secrets. It looks identical to the other known types. Dear fellow collector - if you have any additional informations about this 901C, please drop me a line. © Joerg Woerner, September 29, 2003. No reprints without written permission.